"Hair Patrol," episode 10 of Doom Patrol season 1, just introduced what may be the most disgusting superpower in the history of comic books. In doing this, it has also turned the Beard Hunter - one of the Doom Patrol's strangest enemies - into a credible threat, while still leaving him a complete joke. First appearing in Doom Patrol #45 in July 1991, the Beard Hunter was written as a parody of The Punisher, who waged a one-man war on facial hair instead of crime, killing bearded men and claiming their beards as trophies. The action of the issue saw the Beard Hunter hired to track down the Doom Patrol's leader, Dr. Niles Caulder, and remove his beard by any means necessary. It was suggested over the course of the issue that the Beard Hunter's hatred of bearded men was partly due to his own inability to grow a beard because of a hormone imbalance. It was also suggested that the Beard Hunter was a closeted homosexual, who wanted to make every man as smooth and hairless as the professional bodybuilders he lusted after. 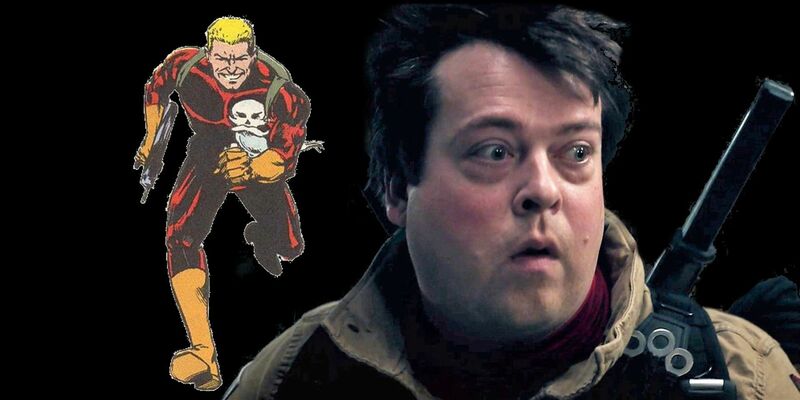 Doom Patrol's take on the Beard Hunter is more politically correct, with this version of the character being an out-of-shape wannabe soldier of fortune, who is hired by the Bureau of Normalcy to find Dr. Caulder. He has the same hormone imbalance and still lives with his mother, like the Beard Hunter of the comics. The two characters are separated, however, by the fact that the television Beard Hunter is a metahuman, who possesses what made be the oddest and most revolting superpower imaginable. The Beard Hunter is revealed to possess a combination of telepathy and clairvoyance which allows him to know the mind of a man as if it were his own and sense his location anywhere in time and space. Unfortunately, utilizing this power requires that the Beard Hunter "consume the essence" of his prey, which is an artful and polite way of saying that he has to eat their beard trimmings. It should be noted, however, that it is never confirmed that he specifically has to sample their facial hair. Indeed, it is strongly suggested that this just the Beard Hunter's particular kink, after he passes out in what can only be called orgasmic delight, just after snaking Dr. Niles Caulder's drain and eating his shaving scum. While his metahuman ability is disturbing, it is also effective. The Beard Hunter psychically discovers a secret that Cyborg had been hiding from the rest of the team after inhaling just a single stray chin hair. He also seemingly finds a way into the extra-dimensional space commanded by Mr. Nobody, where Dr. Caulder is being held captive by the episode's end. While it seems unlikely the Beard Hunter will be returning to plague the Doom Patrol in future episodes, his appearance showcases the commitment of the show's writing team to replicating the same sensation of weird horror inspired by the original comics. Here's how Star Wars Rebels season 4 episode 1 "Heroes of Mandalore" helped set the dark tone of the show's final year. The original Star Wars ignited the imaginations of movie fans back in 1977 and suggested a much wider universe outside the main adventure. The first Expanded Universe novel was Splinter Of The Mind's Eye, which found Luke and Leia off on another adventure on a swamp planet and facing off with Darth Vader again. Splinter was originally conceived by George Lucas as a potential low-budget sequel that could reuse props from Star Wars: Episode IV - A New Hope, should the movie underperform. When it proved to be a success, the concept was instead turned into a book. It didn't take long for the franchise to expand into further comic books, novels, video games and animated series that took fans to new corners of the galaxy. This includes acclaimed animated spinoffs like Star Wars: The Clone Wars and Star Wars Rebels. Over the course of its four seasons, Star Wars Rebels found its heroes battling against the Empire between the events of Star Wars: Episode III - Revenge Of The Sith and Rogue One. 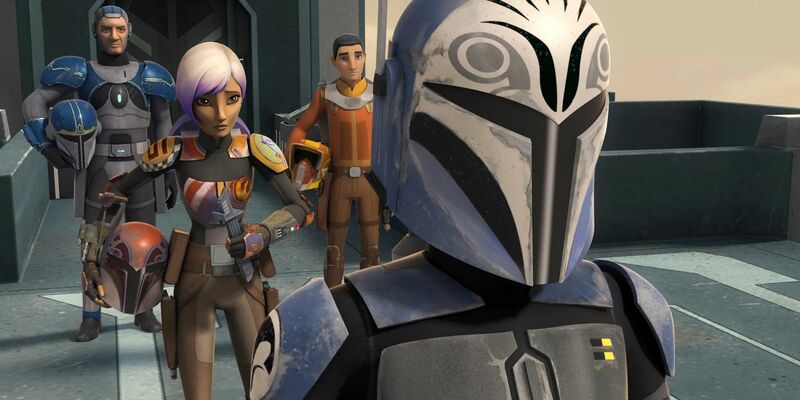 The show introduced new characters like Ezra and Sabine and while it featured some great action sequences and humor, it wasn't afraid to get a little dark either. This can definitely be seen in Star Wars Rebels Season 4 Episode 1 "Heroes Of Mandalore," which proved to be the darkest series of the show. Episode one is the first half of the Star Wars Rebels two-part "Heroes Of Mandalore" arc, which finds Sabine, Ezra and Kanan on a rescue mission to Mandalore to save Sabine's kidnapped father. She teams up with Clone Wars fan favorite Bo-Katan to attack a convey holding her father and succeeds it rescuing him after an epic chase. Part one feels like it's going to end on a victorious note until the Empire unleashes a new weapon called the Arc Pulse Generator, also known as "the Duchess," which incinerates those wearing Mandalorian armor. The crew finds all the Mandalorians who aided in the rescue were killed by this weapon - and her father reveals it was Sabine who designed the Duchess. Star Wars Rebels season 4 episode 1 has all the action and humor inherent to the show, but it also shows the impact of the war against the Empire. Mandalore is said to have once been a beautiful place but it's been turned into a wasteland through endless battles. Sabine also has to confront her past when the weapon she created is deployed against her own people, though thankfully by the end of part 2 she's destroyed the Arc Pulse Generator and Bo-Katan is appointed the leader of Mandalore after accepting the Darksaber. Star Wars Rebels season 4 episode 1 sums up what was always great about the show, from expanding the mythology of the series to combining action, humor and drama. 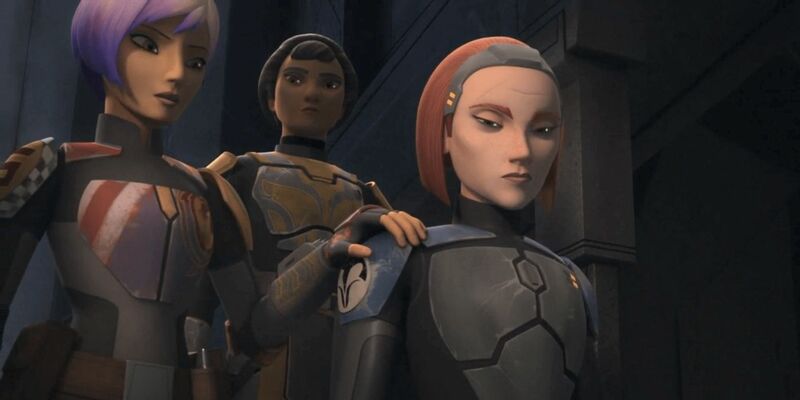 "Heroes Of Mandalore" established the darker tone for the final season and that not even the heroes can fight in a war without paying a terrible price. 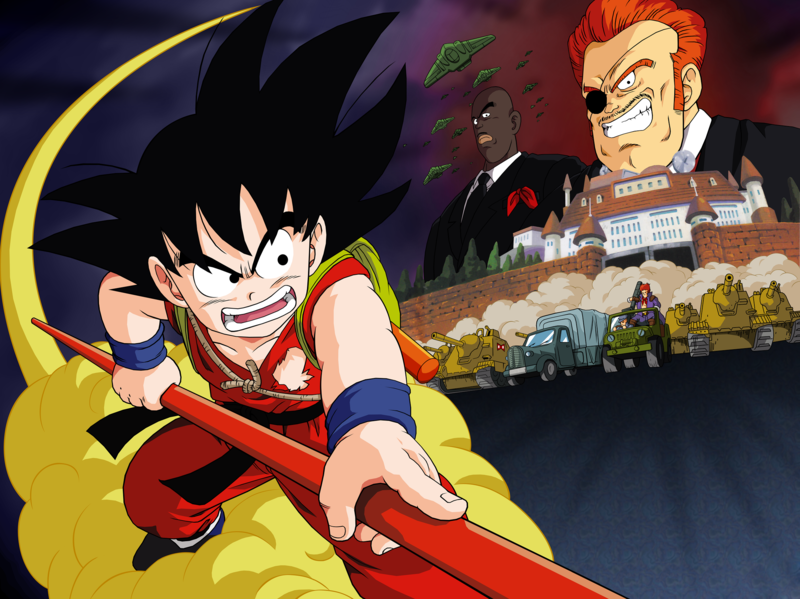 Dragon Ball, as we know, is one of the longest-running and most popular franchises around. 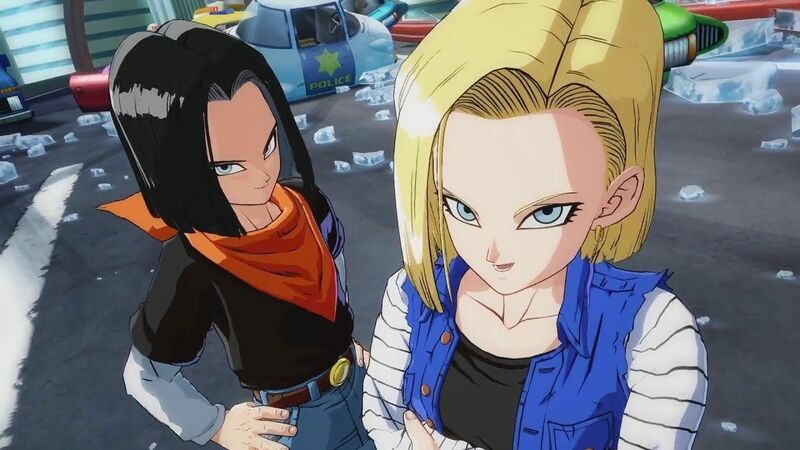 Whether as a manga, an anime, a movie series, a collection of video games, or anything else than has carried the Dragon Ball name over the years, it’s just unstoppable. Consistently popular, yes, but that doesn’t mean it gets a free pass. Sometimes, all that renown and international cachet can work against you. All eyes are on you, and if you slip up (even ever-so-slightly), your legions of fans are going to unleash the full fury of their snark on internet message boards and comment sections everywhere. The Simpsons knows these pressures all too well. As the show enters its third decade and approaches its 660th episode, things are getting more than a little strained. There are only so many absurd situations Homer can find himself in before they really start trying irredeemably hard, if that hasn’t happened already. The golden years of The Simpsons, even the most dedicated fans will probably tell you, are far behind it now. 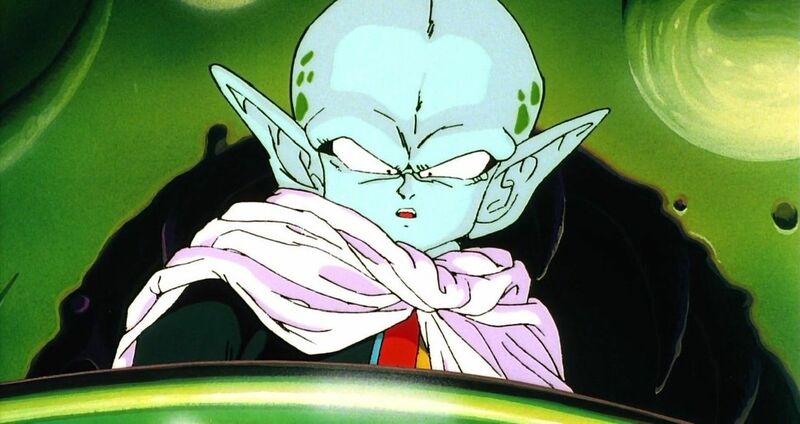 The Dragon Ball series is even older (having been originally created by Akira Toriyama in 1984), and has experienced its own peaks and troughs. That’s just inevitable with any established franchise. 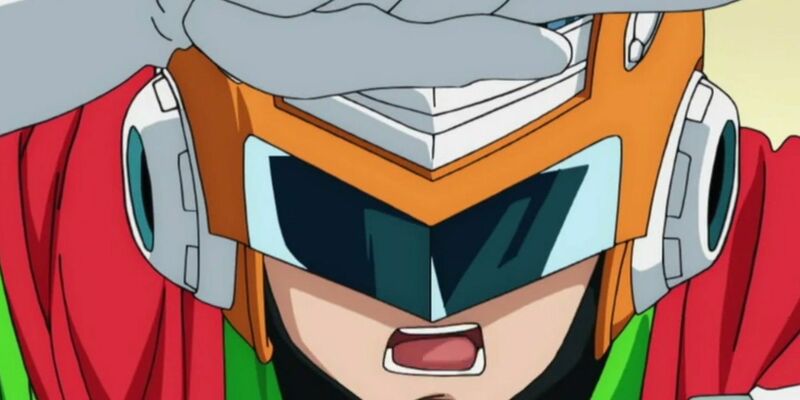 Among them have been some major missteps like the Great Saiyaman saga and Society Survival saga, more than balanced out by fantastic storylines like the Trunks saga and original Frieza saga. Let’s take a look at some of the lowest lows and highest highs the franchise has ever taken us to. Buckle up, it’s going to be a bumpy ride. Now, it’s never a good sign when a particular Saga is completely absent from the source material (that is, the manga). Sadly, this is exactly the case with the whole Garlic Jr. storyline, which takes place in the anime between the Sagas of Frieza and Trunks. This isn’t unusual in anime, as fans will know, but that doesn’t make this sort of thing any easier to swallow. All of this Garlic Jr. business draws on the plot of the movie Dragon Ball Z: Dead Zone, and centers around the titular villain seeking revenge on Goku for sending him to said Zone. There’s just something off about this whole thing. The fact that the two-bit villain of the piece (in the grand scheme of Dragon Ball) was defeated by the four-year-old Gohan, for starters. Now, stick with us here, because this one’s going to be a controversial pick for sure. The Black Star Dragon Ball Saga was the first slice of Dragon Ball GT most of us got; it proved incredibly divisive as a result. The issue here is that GT wanted to reboot everything about the series. Dragon Ball Z was an intense, dramatic, super serious affair, while GT was all about returning to the sillier, more comedic leanings the show had prior to that. Naturally, this move proved controversial, to the extent that Funimation cut 16 of the 17 episodes and threw in a flashback in their stead. It wasn’t until later that these lost episodes were released (literally titled The Lost Episodes). Come on, Dragon Ball. You can’t hide them under the couch because you were ashamed of them and then later claim they were lost. Who do you think you are, Square Enix with Final Fantasy VIII? We’ve all been suckered in by a good April Fools joke. Don’t be ashamed to admit it, it happens to the best of us. Back in the day, it was all about saran wrap on the toilet seat and that sort of thing, but the advent of the internet has made it simple for ever-more sophisticated jokes to reach all the way around the world in an instant. No website is safe on April 1, friends. Embarrassing as being fooled can be, it’s always great to see otherwise po-faced companies getting in on the action and having a little fun themselves. For April Fools 2017, Toei Animation released the snarky Society Survival Saga, which saw Goku and Vegeta getting jobs at DB Commercial Affairs. Office shenanigans, of course, couldn’t be further removed from Dragon Ball’s usual fare, although they did still manage to shoehorn a battle with Frieza in there. Now, this one’s a bit of a grey area. Did it save the show in a positive sense? Well, no, but it certainly did in a literal one. 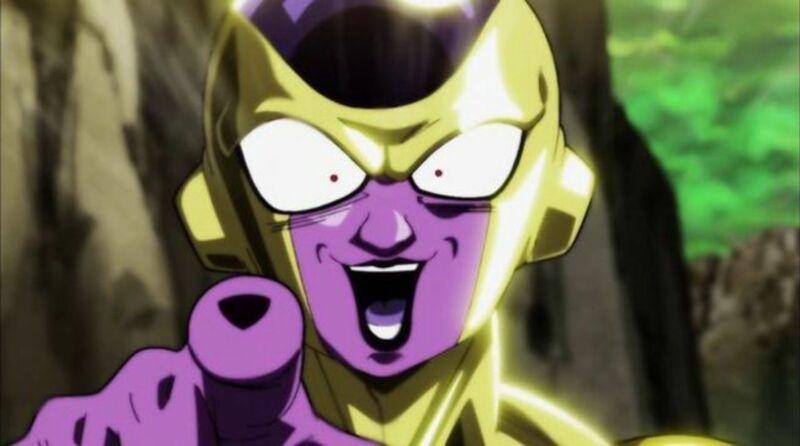 Frieza is probably the most popular and prolific villain in all of Dragon Ball. Yes, he’s been defeated the most times too, but that’s more out of plot necessity most of the time. The big plus we do have to point out is that he actually did succeed in destroying the Earth, which could’ve been curtains for the franchise (what with Goku living there and all). As we’ve reported before, though, this calamity was quickly and super-conveniently reversed by Whis, who simply reversed time a little and repaired the whole mess. While he did state that this wasn’t a simple deus ex machina, the fact remains that it… well, totally was. Ah, yes. The Namek Saga. As with another other story arcs, this one has sparked a whole lot of debate among fans. Here’s the issue: the whole thing kicks off after the Vegeta Saga, which ended with a series of climactic battles that left just about everybody exhausted and barely capable of moving (if even that). Unlike many such shows, Dragon Ball isn’t afraid to really (as in, really really) mess with its most significant characters. As such, Goku was incapable of fighting (or doing much of anything at all) when the Namek Saga kicked off. This is no surprise, after that Great Ape business, but it still raises the question: what is Dragon Ball without Goku? Or, indeed, without the Dragon Balls? As we’ve already argued over on The Gamer, perhaps not very much at all. Well, dang. Try saying Saved the Series: the Saiyan Saga with a mouthful of Dragon Balls. Tongue twisters aside, the Saiyan Saga really was the business, wasn’t it? 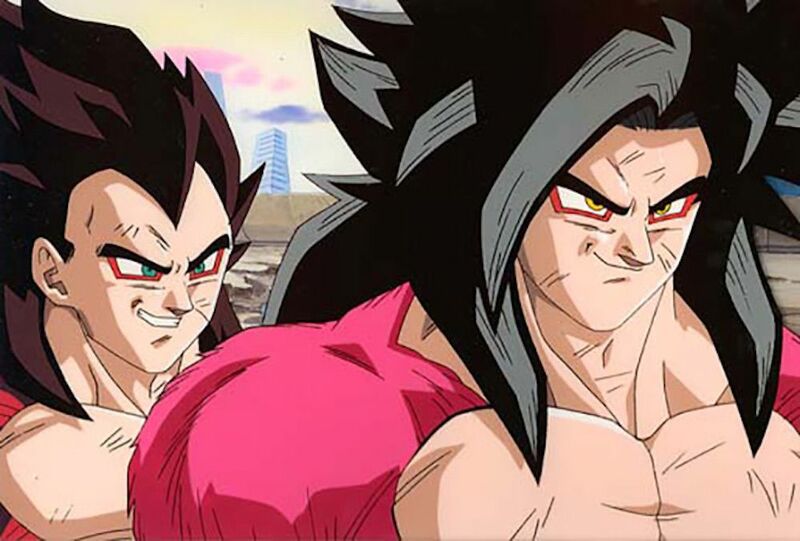 It consists of both the Raditz and Vegeta Sagas (such is the twisted and confusing nature of Dragon Ball story arc naming) and brought us the Saiyans doing what they do best. Intense, protracted (and more than a little hammy, which makes them all the better) fight sequences, every more powerful forms being taken, emotionally resonant moments by the bucketload… when they said that Dragon Ball Z was going to put the silliness and humor aside and ramp up the battles and superpowers, they were not kidding. What an introduction to this new style of Dragon Ball action. 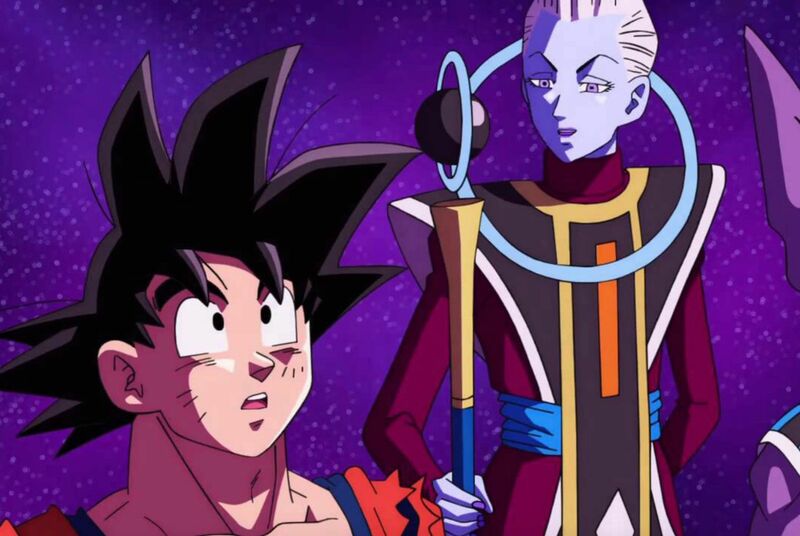 As was the case with Whis’ convenient timey-wimey tricks (Doctor Who fans will understand), this next entry isn’t about a specific Saga in Dragon Ball history. It’s just another surprising little storyline moment that just reeks of cheapness. As fans will know, Zeno is one of the most powerful beings in Dragon Ball history. 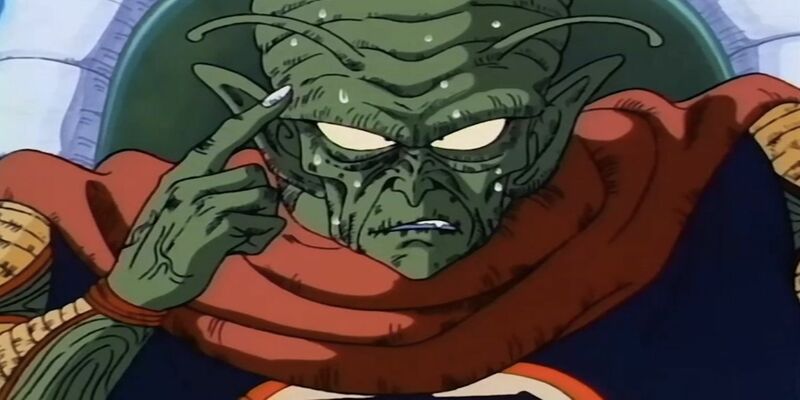 He’s been known as Grand Zeno, Grand King Zeno and Grand Zeno the Omni-King, but all of these names boil down to the same thing: he can do whatever the heck he wants, so don’t mess with him. When Goku meets this odd little blue/purple dude, he makes the wise decision to befriend him. As a result, Zeno gives him a curious artifact: a little button to push. On pressing it, he’s told, Zeno will appear and fix whichever mess Goku has gotten himself into. As we’ve reported before, the prideful Saiyan isn’t the kind of guy who’d want to use such a thing often. Still, what a ridiculous backup plan to have in your back pocket! The Tournament Saga is one of the earliest in the series (only the second in the anime, in fact). While it’s hardly a festival of character development and convoluted, plot-twist-ridden, Da Vinci Code-esque storylines, it proved pivotal to the anime and everything it would become. As the name suggests, the Tournament Saga is all about Goku’s training with Master Roshi and participation in the twenty-first World Martial Arts Tournament. There’s a lot of the early Dragon Ball humor on display here (particularly in Roshi's training methods), but this was the arc that first presented fighting as a focus for the story. More than this, it introduced Bacterian, the most hilariously awful ‘villain’ the series has ever produced. A huge, powerful martial artist who never bathes or brushes his teeth to give himself an edge in battle (his opponents have to fight with one hand because they’re using the other to hold their nose). Sure, why not? Let’s not forget Krillin’s introduction either. You might know this one better as The High School Saga, which… probably tells a lot of you all you need to know. 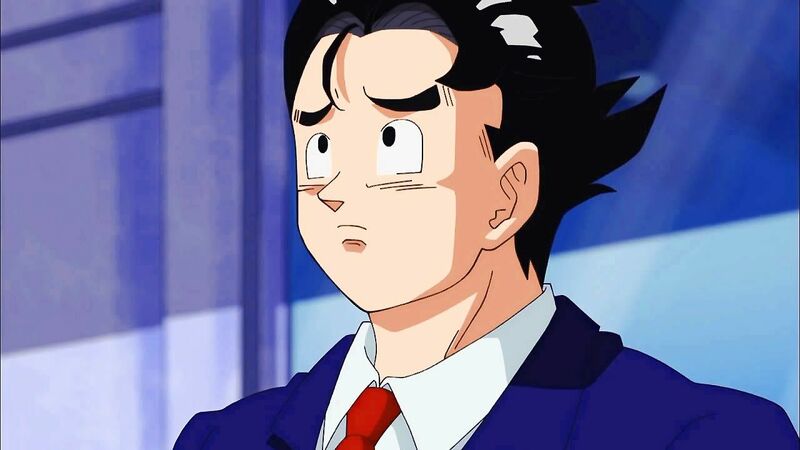 This whole sorry affair is set seven years after the Cell Games, presenting Gohan as a teenager. Deciding to study rather than continue his training, he’s attending Orange Star High School. Vegeta is now married to Bulma, Goten has been born… it’s a wild time to be alive. The trouble with all of this faux superhero business is that it’s all a little odd. Granted, oddness isn’t anything that anime series will ever really shy away from, but it’s all a bit too Persona and not enough Dragon Ball for a lot of fans. Still, some people are into that, and that’s totally fine too. 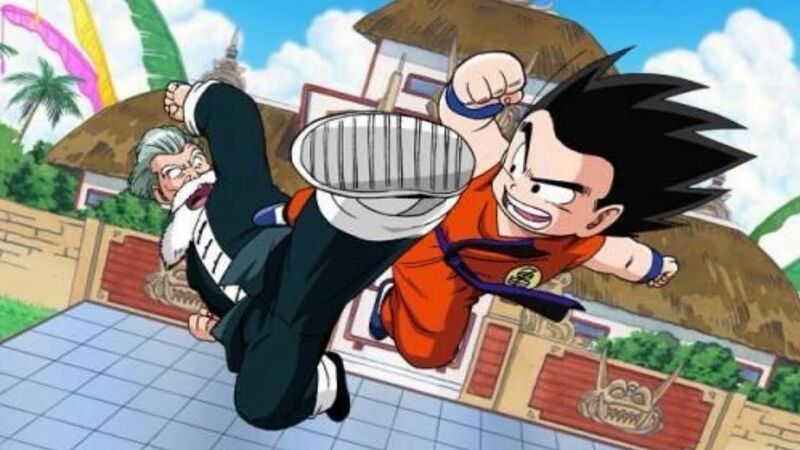 We’re only at the halfway point in this little rundown of Dragon Ball’s best and worst storylines, but we’ve seen a real mixed bag already. Powerful storylines, emotionally charged moments, and Sagas that eschew all of that for some pure martial arts action. Then, of course, there were the shonkier storylines that didn’t manage to capture any of this. The King Piccolo Saga certainly did, though, bringing us some of the most intense action Dragon Ball had seen up to this point. The first grim demise of a major character, some incredibly gripping action, and a super strong villain made this Dragon Ball gold. Heck, this was an excellent era for the anime in general, and King Piccolo’s Saga certainly played a big part in that. Now, we can totally appreciate the role that the Androids played in Dragon Ball history. They were formidable opponents, they tested our heroes and proved that all kinds of forces were being brought to face, they were just downright vicious. They also paved the way for Cell, and that’s a whole different level of threat right there. Having said that, though, this sort of thing tends to give diminishing returns. As villains, the various Androids of Dr. Gero’s design really did vary in strength, threat level and impact on the series as a whole. They were a little generic at times, and that’s not really something that you can say of a lot of Dragon Ball’s villains. The Android production line just went on a little too long. As we know, then, Dragon Ball Z was the series that took everything into a more action-oriented direction. Yes, that silliness that defined the early installments of Dragon Ball Z was all well and good, but in this era of the franchise, it’s all about dramatic action. Frieza can always be counted on to bring dramatic action to the table. 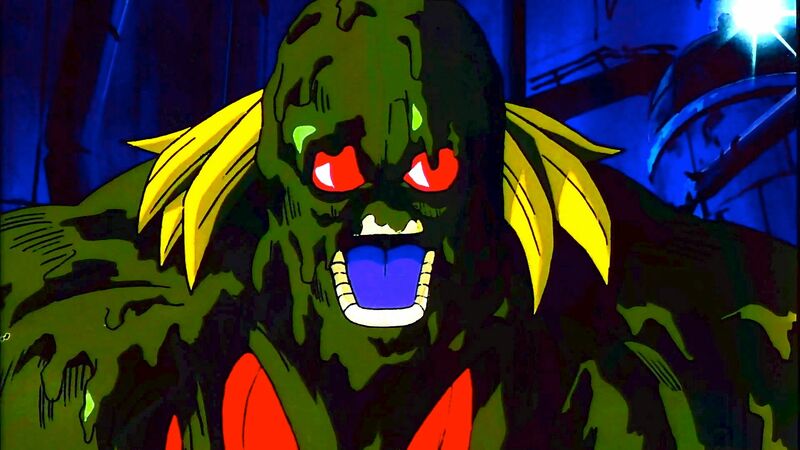 Probably the best-known and most popular villain in Dragon Ball history, this malevolent mutant just could not and would not be stopped. Well, he certainly could, but not permanently. The action of the Frieza Saga mostly takes place on the planet Namek, and the highlight is the absurdly long battle between Frieza and Goku. That’s what we all came for, after all, and there’s no doubt that they milked every ounce of hype out of it. What a showdown. Unsurprisingly, the Tournament Saga was a popular concept, and the team went on to revisit it. The more combat-oriented Dragon Ball Z was the ideal place to do so, and so the World Tournament Saga was created. Sadly, the arc itself only showed half of the tournament action, with everything being wrapped up in the far less engaging arc that followed. 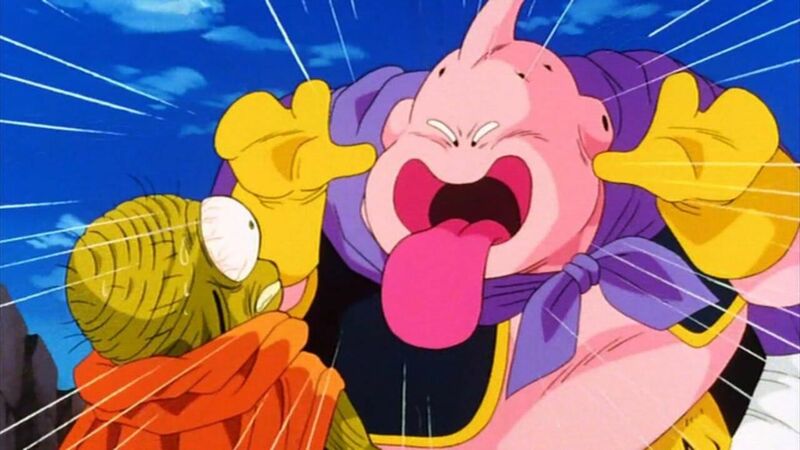 As a way of buying time until the whole Majin Buu thing kicked in, the Babidi Saga was a bit transparent. Babidi himself was powerful enough, but totally forgettable as a villain in the grand scheme of things. Perhaps it wouldn’t have been so bad if he wasn’t arriving immediately before a Big Bad that absolutely eclipses him. Still, those are the breaks sometimes. Dragon Ball has never been afraid to think outside the box, mix things up, keep fans guessing. This extends to the very layout of the show itself. These Sagas aren’t all neatly divided into even chunks, like seasons of a series. Interestingly, one of the shorter Sagas packs in much more action and drama than its measly eight-episode span might suggest. The Trunks Saga definitely doesn’t outstay its welcome. Just eight episodes, perhaps, but what episodes they are. This was the arc that brought us one of the most iconic moments in Dragon Ball history: Frieza’s demise (or, one of them) by the blade of Future Trunks. This storyline slots in between the Garlic Jr. and Android Sagas, definitely helping to build that momentum that the Android Saga would need. As we’ve established, long-running shows are always going to have highs and lows. Sometimes, creators just don’t get the memo that it’s time to stop, and things drag on and on rather than ending gracefully. We’re looking at you again, The Simpsons. Nevertheless, there’s something else we’ve got to bear in mind too. Often, these sorts of things are just a matter of opinion. Every Dragon Ball fan has their favorite and least favorite arcs, and there will always be heated debates in the community about that. There are certainly some that are less popular, though, even if they aren’t necessarily bad. Take the Red Ribbon Army Saga. There’s very little threat or excitement until Tao Pai Pai’s appearance, and it doesn’t contribute an awful lot to the series as a whole. Is it especially bad? Not really. Would we particularly miss it if it wasn’t there? Not really. As we saw earlier in this rundown, the Namek Saga doesn’t tend to be a fan favorite. 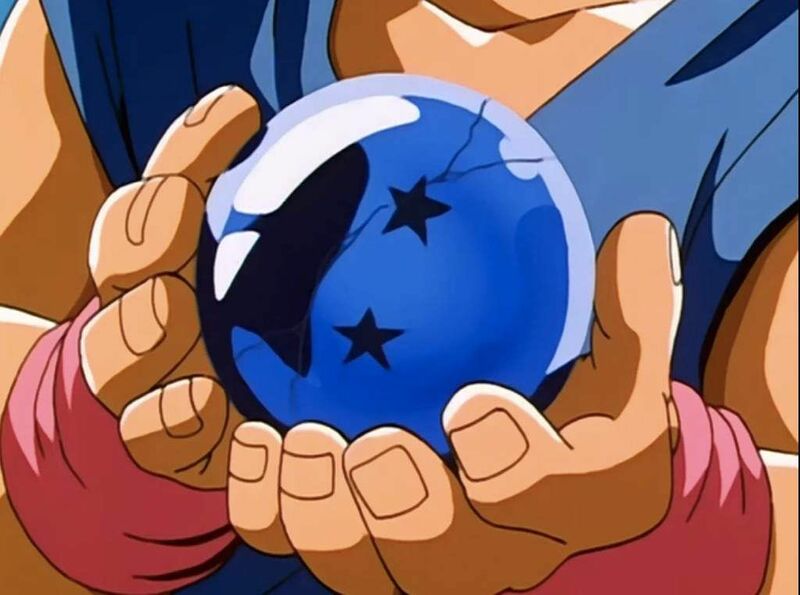 With its lack of focus on Goku and the Dragon Balls themselves, essential elements of the anime are missing. There’s a whiff of filler about it (which is nothing new in anime, of course), as we wait for Goku to inevitably return to his battling best. The Captain Ginyu Saga kicks in immediately afterward (just before/as part of the Frieza Saga, depending on the ordering conventions you’re going by), and showcases a Goku who’s back at the peak of his powers. In his defeat of Burter and Jeice, Goku sets the stage for Captain Ginyu’s attack, and, ultimately, Frieza’s. It was all going off here, friends, that’s for darn sure. 4 HURT THE SHOW: Why Is Bio-Broly A Thing, Again? The Dragon Ball fandom just can’t seem to agree on their feelings about Broly. Granted, no fandom can ever really agree on anything, but this is especially true where Broly’s concerned. 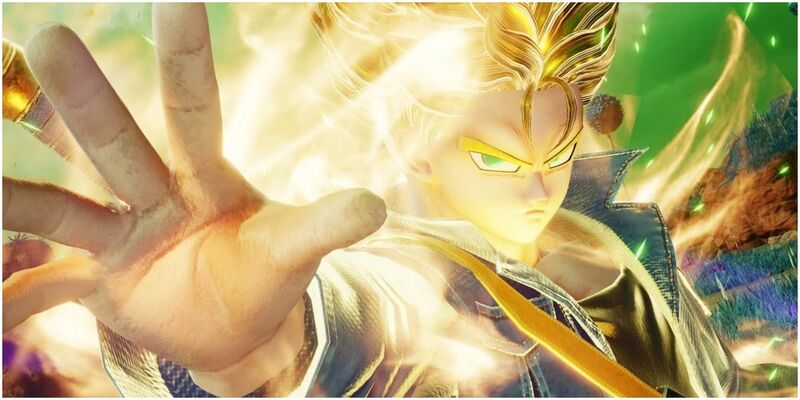 The supposed ‘only’ Legendary Super Saiyan, canon just goes haywire around this guy. What’s real? What isn’t? How could we possibly know? One thing we do know for sure is that he has a very shonky alternate form: Bio-Broly. It’s actually a mutated clone, and the star of its own movie: Dragon Ball Z: Bio-Broly. The odd thing, though, is that we just can’t tell where this Thing From The Swamp wannabe ranks, strength-wise. Is it more powerful than the original Broly? Can it do things he can’t? Is there even any real reason for it to exist at all? The world may never know. The Dragon Ball franchise has seen a whole array of brilliant, creative and ridiculous villains. Some have failed horribly, some have come super close to achieving their aims, some have even done so. Quite a few of those have had their successes retconned out of existence, but heck, that’s not their fault, is it? 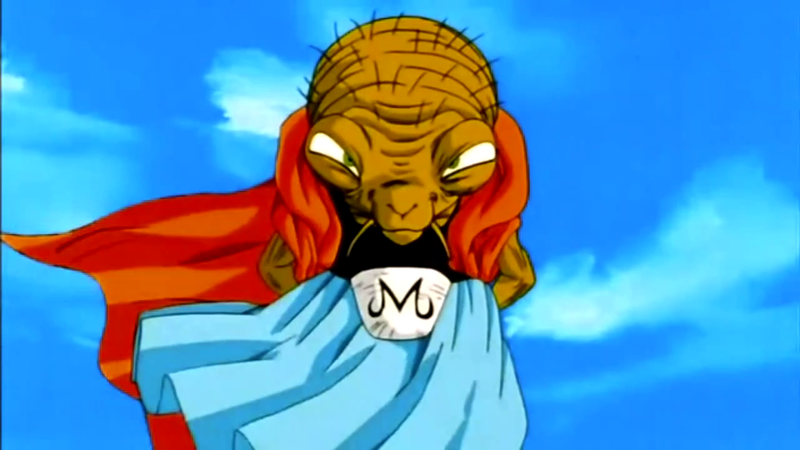 If you weren’t impressed by the Androids, behold Dr. Gero’s ultimate creation. 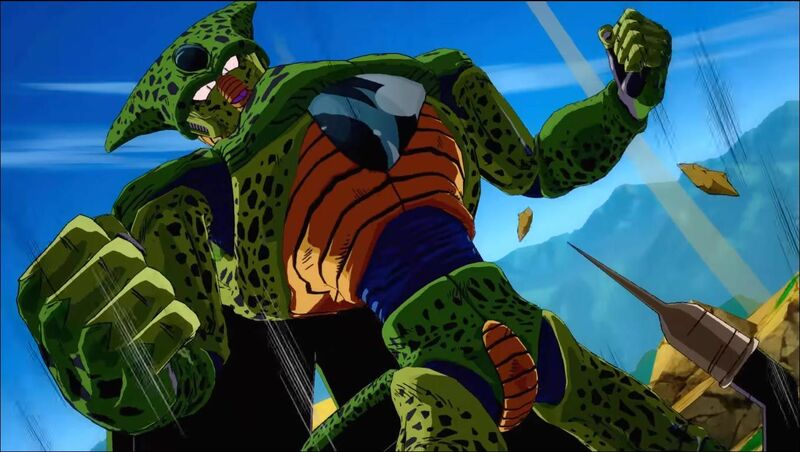 Cell possesses the DNA of legendary warriors such as Goku and Frieza, and he was one heck of a villain. 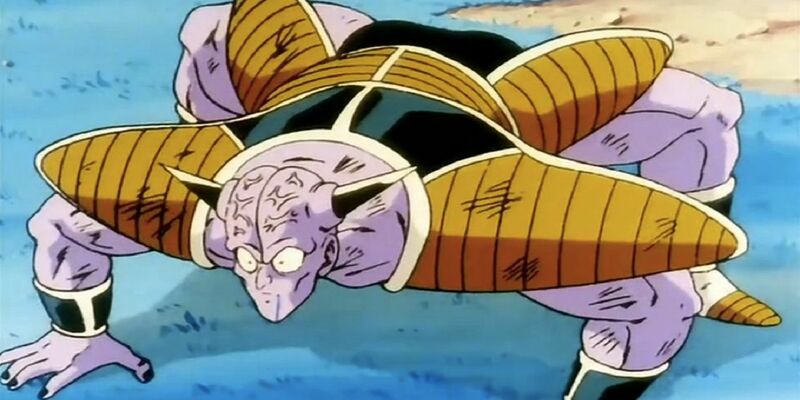 As we stated over on CBR, when he attained his perfect form and staged the Cell Games, it marked a standout moment in Dragon Ball history. As the Dragon Ball community will tell you, the whole overarching Buu saga is super polarising. It’s the marmite of Dragon Ball, if you will. What’s at the core of this? It’s tough to say for sure. There’s no shortage of dramatic action here, that’s for certain, but we’ve become accustomed to high stakes coming with our theatrical Dragon Ball combat. 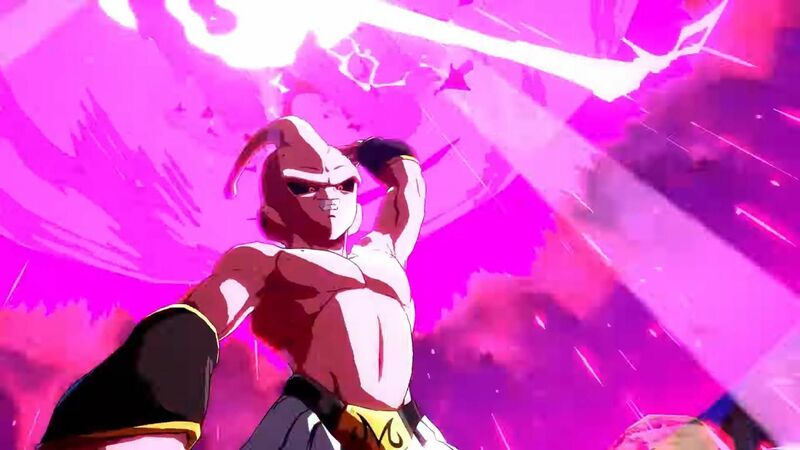 Kid Buu destroyed the earth as first act on achieving this form, yes, causing the grim demise of Goku and Vegeta’s sons, but did all of that have any lasting repercussions? In the end, Goku simply (and literally) wished away everything Kid Buu had done, which made the whole storyline seem more than a little pointless. Not that it wasn’t a heck of a spectacle to behold. So, yes, the Kid Buu Saga wasn’t all it could have been. Some of this is due to the ending, as these convenient little fixes to devastating events aren’t really what Goku and the Z-Fighters are all about. Still, you can’t question the Dragon Balls. Or the Namekian Dragon Balls, in this case. Without the pressure of ending the overarching Buu business itself, the Majin Buu Saga was excellent. It’s also proven divisive but does boast some iconic moments. Dragon Ball Z’s first showcase of the Super Saiyan 3 transformation? One of the franchise’s most creative and original villains? These are things that true fans must surely appreciate. 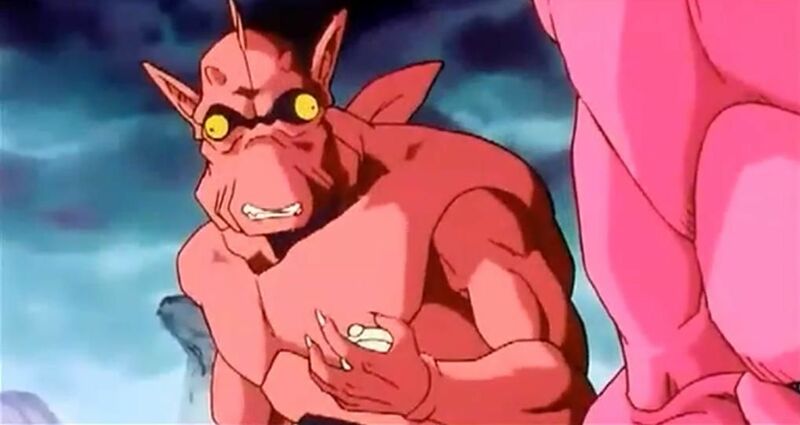 Majin Buu’s preferred way of dispatching his enemies is to transform them into cookies and then eat them. 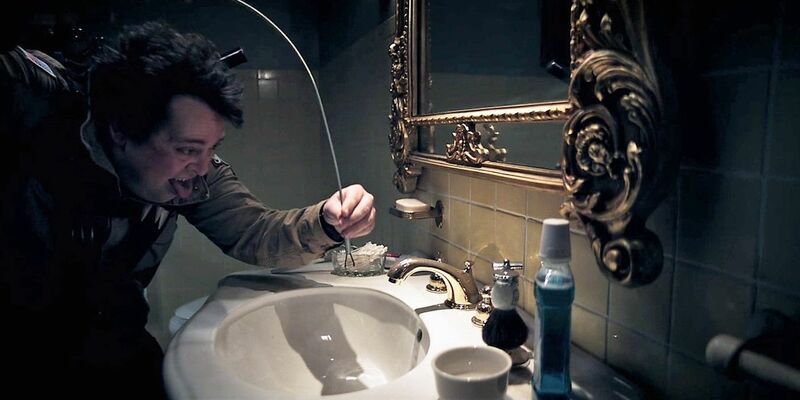 If that’s not a party trick that just demands respect and admiration, we don’t know what is. The 2019 summer movie season (that is, May through August) is right around the corner, so we're counting down the must-see films of the frame. 2019 got off to a realtively slow start, with several movies either disappointing critically and/or struggling to take off at the box office. Fortunately, things started to pick up near the end of February, beginning with How to Train Your Dragon: The Hidden World and especially Captain Marvel, followed by a handful of hits like Us and Shazam!. And of course, April will end with a massive bang thanks to the release of Marvel Studios' Avengers: Endgame. To help narrow things down, we've put together a list of 20 Summer 2019 movies to see (along with some honorable mentions, at the end). The films are numbered in the order of their theatrical release date, so feel free to let us know what your personal most anticipated movies are in the comments section! Plot Summary: In a world where humans and Pokémon live side by side, would-be Pokémon trainer Tim Goodman joins forces with a crime-solving Pikachu to locate his father, a famous detective who's mysteriously gone missing. 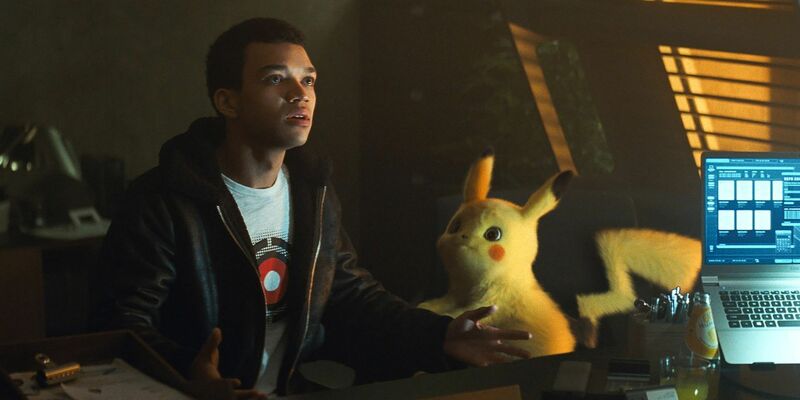 The Breakdown: Warner Bros.' live-action Pokémon movie has gone from being a mild curiosity to one of this summer's more anticipated (and unique-looking) offerings in recent months. The general public seems to be onboard for Ryan Reynolds' Who Framed Roger Rabbit-style adventure by this point, with its marketing suggesting that Detective Pikachu is a playful, family-friendly romp that has just enough weirdness to satisfy fans of all things Poke-related. Nostalgia has also played an important role in building hype for the movie, but so far it looks like the strategy shouldn't blow up in WB's face like a Psyduck with a headache. Plot Summary: John Wick finds himself on the run after killing a member of the international assassin's guild, with hit men and women everywhere hoping to collect the $14 million bounty on his head. The Breakdown: Five years in and John Wick has evolved from a one-off Keanu Reeves action movie to an international franchise with an ever growing fanbase. The fact that John Wick: Chapter 3 - Parabellum is releasing in the summer (rather than the fall or winter, like its predecessors) is a testament to just how popular the series have become since it kicked off. 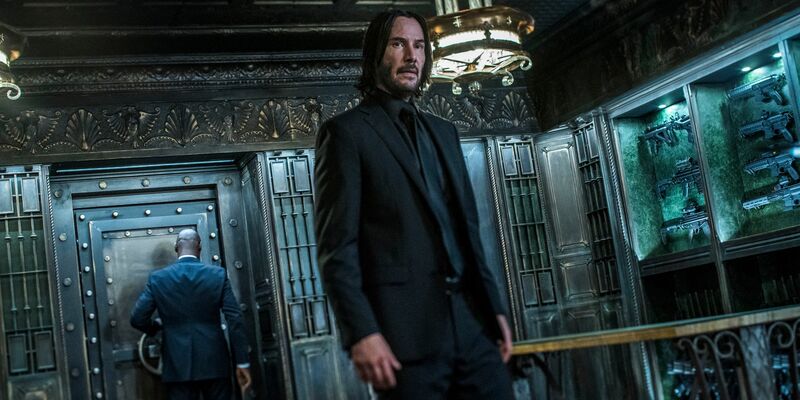 By the look of things, series director Chad Stahelski may've been saving the best for last too, with the marketing hyping some genuinely awe-inspiring set pieces, action sequences, and stunts to come in Parabellum proper... assuming this is the last John Wick film, anyway. Plot Summary: A street urchin named Aladdin is granted three wishes by a magical Genie, after he acquires a magical lamp sought by the scheming Jafar. The Breakdown: Guy Ritchie's Aladdin is easily the most controversial live-action retelling of a Disney animated classic yet, thanks to everything from the design of Will Smith's rapping blue Genie to the remake's problematic casting, white extras being dressed in brownface, and everything in between. 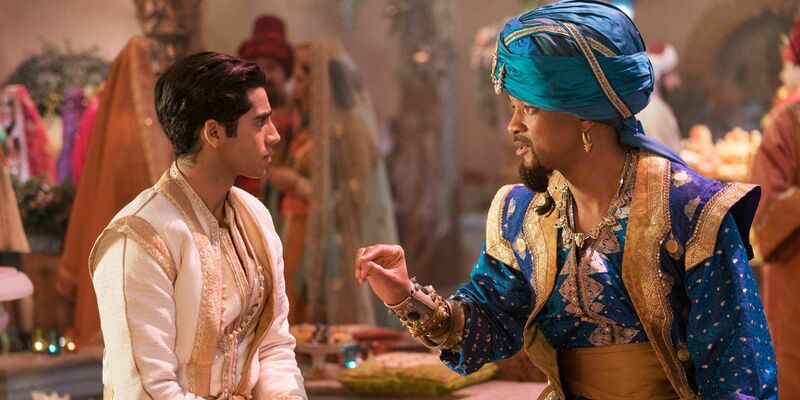 At the same time, the original Aladdin is still one of the Mouse House's biggest (and most beloved) hits of all time, and the odds are good that moviegoers will turn out in large numbers to see this one on the big screen. Whether they'll actually like what they see, well, that's something we're all curious to learn the answer to. Plot Summary: A small-town couple adopt an alien infant after their pod crash-lands on earth, only for the child to grow up and become a super-powered murderer. 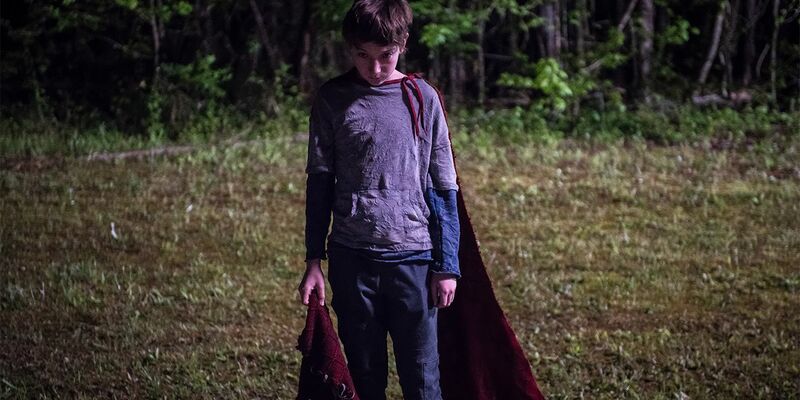 The Breakdown: Essentially a horror movie re-imagining of the Superman mythology, Brightburn has attracted interest since before it had a title, thanks to James Gunn's involvement behind the scenes. The film's marketing has drawn heavily on the iconography of Man of Steel especially, leaving many to wonder whether Brightburn will feel more like a dark superhero movie or just another evil child thriller (albeit, with a superhero twist). Horror and/or thriller-flavored superhero offerings like Glass and Hellboy have struggled to really connect with either critics or general audiences this year, so it'll be interesting to see how this one fares by comparison. Plot Summary: Two best friends, on the eve of their high school graduation, try to cram four years of misbehavior into one wild night. The Breakdown: Olivia Wilde's directorial debut made a big splash at SXSW in March, drawing rave reviews and comparisons to raunchy coming of age comedy classics like Superbad (only told from a female perspective). 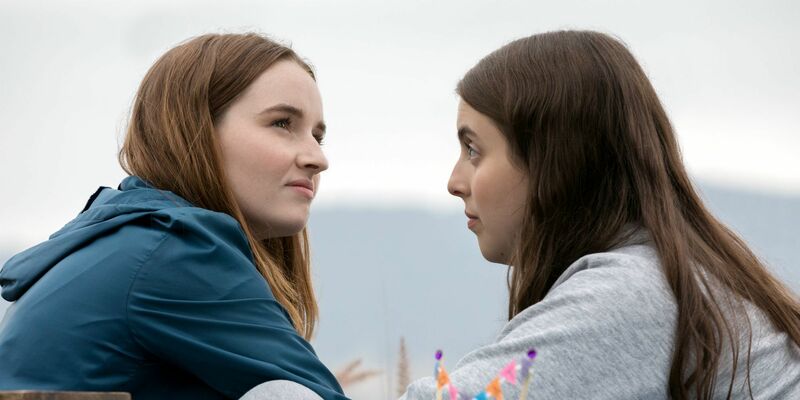 By the sound of it, Booksmart has the potential to be this year's Blockers and further cement its young stars (Last Man Standing's Kaitlyn Dever and Lady Bird's Beanie Feldstein) as talents on the rise. 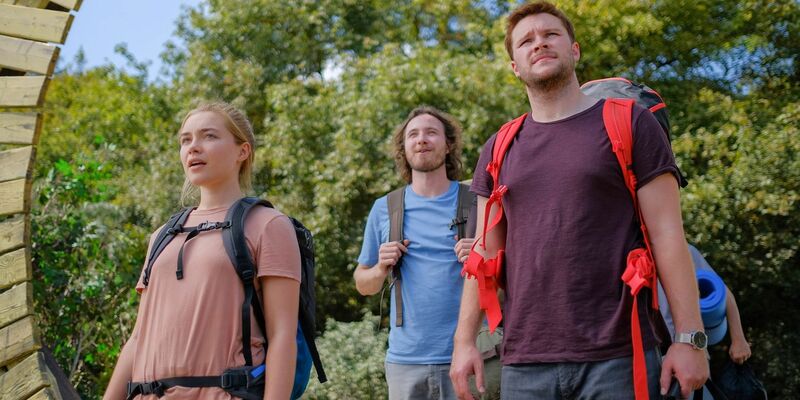 With this August's Good Boys also generating solid buzz following its SXSW debut, Summer 2019 promises to be a pretty good season for R-rated comedies about misbehaving youths and their shenanigans in general. Plot Summary: The crypto-zoological agency Monarch faces off with a number of god-like monsters, including the infamous Godzilla, Mothra, Rodan, and Godzilla's ultimate nemesis, King Ghidorah. 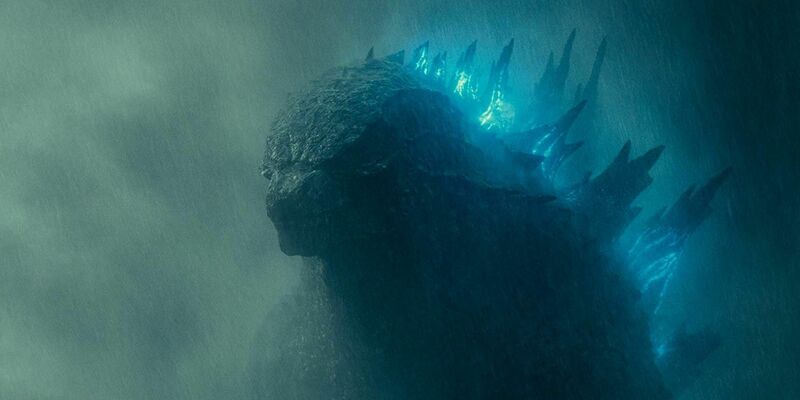 The Breakdown: While we've still got a year to go before Godzilla and King Kong throw down, this year's MonsterVerse offering is shaping up to be pretty exciting in its own right. Directed by Michael Dougherty (Krampus), Godzilla: King of the Monsters appears to blend the grounded style of Gareth Edwards' Godzilla reboot with the brighter colors and more outlandish monster brawls featured in Jordan Vogt-Roberts' Kong: Skull Island, to overall positive effect. It remains to be seen if the story here is equally up to snuff, but a giant monster movie that syncs well with tunes like "Claire de Lune" and "Over the Rainbow" is definitely doing something right. Plot Summary: A lonely woman befriends a group of teenagers and lets them party at her house, only for the kids to realize their host is not what she seems. The Breakdown: Blumhouse has become known for producing inventive, original horror movies and/or thrillers in recent years (The Gift, Get Out, Happy Death Day) and that trend looks to continue with their latest project, Ma. The film reunites Octavia Spencer with her The Help director Tate Taylor, and promises to be one of the weirder, wilder thrill rides of the summer, with Spencer leading the way. Some people are even wondering if Ma is a direct rebuttal to the Oscar-winner being type cast as a sassy, but nuturing black supporting character in the early part of her career. Either way, this is one to watch out for. Plot Summary: The story of Elton John's life - from his days as a young musical prodigy to his rise to superstardom - is told through the lens of a biopic-meets musical fantasy. The Breakdown: As far as Hollywood biopics about musicians go, Rocketman looks surprisingly creative. 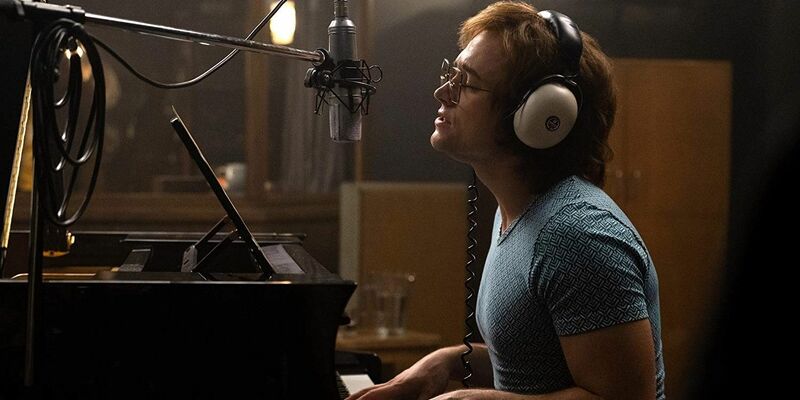 By the sound of it, director Dexter Fletecher and star Taron Egerton (who, yes, is doing his own singing) are more interested in making a movie that captures the spirit of Elton John's music than a Wikipedia-style docudrama about his life (a la Bohemian Rhapsody). They aren't shying away from the musician's legendarily debaucherous lifestyle either, and may even wind up taking home an R rating for their efforts. Here's hoping that's the case, anyway, and Rocketman hews closer to something like Velvet Goldmine than a non-comedic version of Walk Hard. Plot Summary: Jean Grey begins to develop incredible powers that transform her into the dangerous Dark Phoenix, forcing the X-Men to try and either save her... or destroy her. The Breakdown: The end has come for the X-Men... that is, Fox's X-Men movies. Yes, it's been all but confirmed that Dark Phoenix will serve as a conclusion to the studio's pre-Disney run on the franchise, before the X-Men are rebooted as part of the Marvel Cinematic Universe. Prior to Disney's purchase of Fox, however, it sounded like Dark Phoenix was designed to kick-off a whole new trilogy. The film has since gone through reshoots (presumably to change this), but it begs the question: will the new version wrap things up in a satisfying way, or is director Simon Kinberg (who also wrote X-Men: The Last Stand) about to go 0 for 2 on adaptations of The Dark Phoenix Saga? Plot Summary: A pair of Men in Black agents from the London branch team up to tackle their greatest threat yet: a mole within the MIB organization. 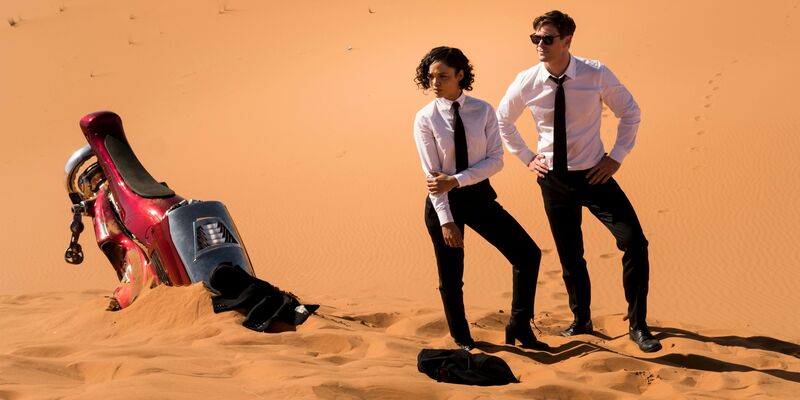 The Breakdown: Although it takes place in the same continuity as the original MIB trilogy, Men in Black: International is clearly intended to serve as fresh start for the the comic book-based franchise. It's a fairly promising continuation too, between Thor: Ragnarok costars Chris Hemsworth and Tessa Thompson playing the leads, and F. Gary Gray (The Fate of the Furious) calling the shots as director. By the look of things, International isn't trying to reinvent the (MIB) wheel so much as give the property a fresh coat of paint, following a seven year break between films. If things don't work out, well, you know where the little red button is. Plot Summary: Zombies suddenly invade a small town, leaving it to the local cops and residents to try and save the day on their own. 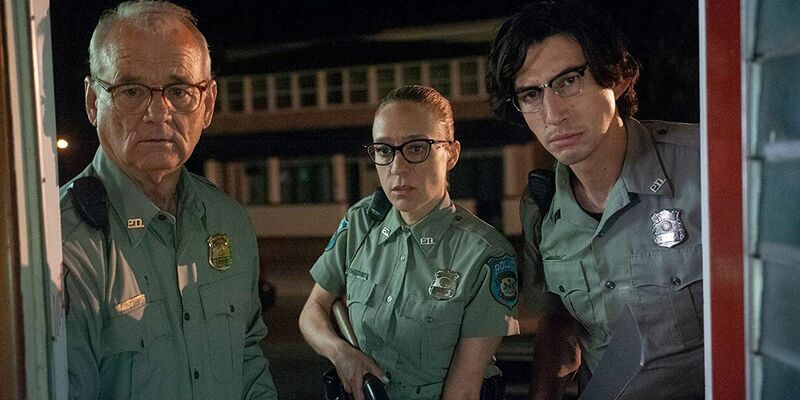 The Breakdown: Nobody makes films quite like Jim Jarmusch, and The Dead Don't Die seems like yet another memorably off-beat and idiosyncratic movie from the Ghost Dog: The Way of the Samurai and Only Lovers Left Alive director. It also features an all-star cast of actors, including several (Bill Murray, Adam Driver, Chloë Sevigny, Tilda Swinton, and so on) who have collaborated with Jarmusch to great results in the past. Of course, the filmmaker's projects tend to have pretty niche appeal, and one imagines that won't change with his quirky zombie horror-comedy. Nevertheless, this has the potential to be one of this summer's best indie offerings. Plot Summary: The toys head out on a road trip adventure that shows Woody just how big the world can be for a toy - and leaves him questioning his very purpose. 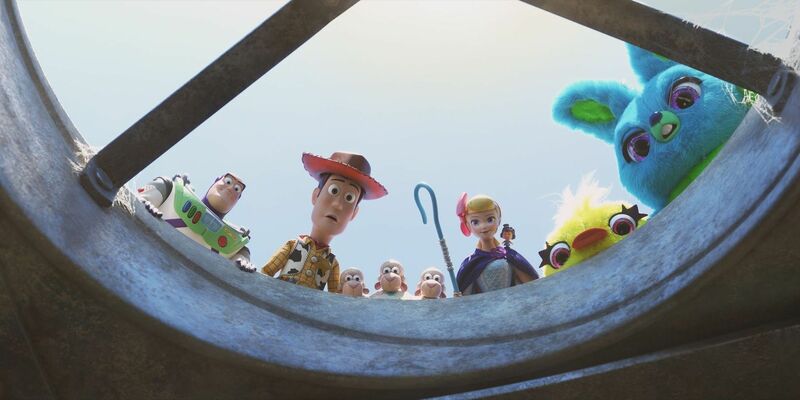 The Breakdown: Continuing the Toy Story movies after Toy Story 3 was always going to be a risky proposition, but Toy Story 4 ended up having to deal with even more challenges than expected during production. However, despite all that, the film is looking rather promising right now, with its trailers serving up a healthy blend of silly toy-related antics and hints of the poignant drama to come. Pixar sequels are typically a step down from their predecessors, but the Toy Story followups have proven to be the exception to that rule so far. Will that trend continue with the fourth (and, for real this time, final) entry? Well, as the marketing's put it, "God Only Knows". 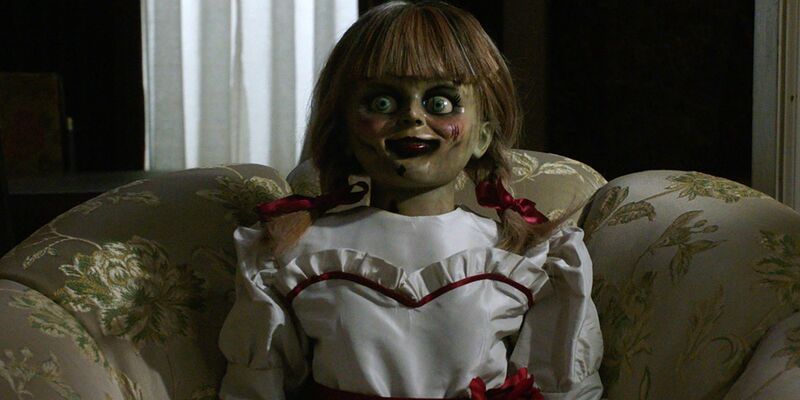 Plot Summary: The Warrens place Annabelle in their cursed artifacts room for safe-keeping, only for the possessed doll to awaken the evil spirits that lie within and target their ten-year old daughter, Judy. 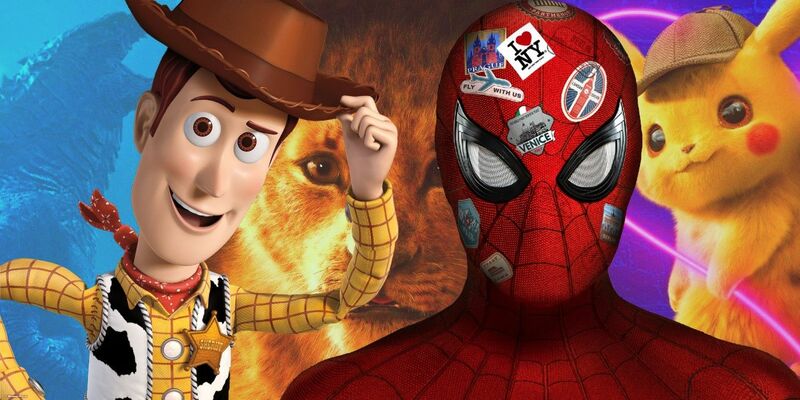 The Breakdown: June is going to be a peculiar month for movies about toys "coming to life", between the release of Annabelle Comes Home, Toy Story 4, and another film we'll get to later. That aside, the latest Conjuring spinoff has a fun premise, and appears to offer all the jump scares and pale-faced demons going "Boo!" that audiences now expect from (and enjoy about) this franchise. Longtime Conjuring writer-producer Gary Dauberman is making his directorial debut here, so it'll be interesting to see how he compares to the best helmers that've worked on this supernatural horror property so far (especially, David F. Sandberg and series architect James Wan). Plot Summary: Peter Parker tries to enjoy a relaxing summer vacation in Europe with his friends, but ends up having to save the day when an enigmatic figure named Mysterio shows up. The Breakdown: Marvel Cinematic Universe fans won't have to wait long for their next fix after Avengers: Endgame, what with Spider-Man: Far From Home arriving two months later. Ant-Man and the Wasp similarly hit theaters a couple months after Avengers: Infinity War in 2018, and provided a welcome change of pace from that massive crossover. 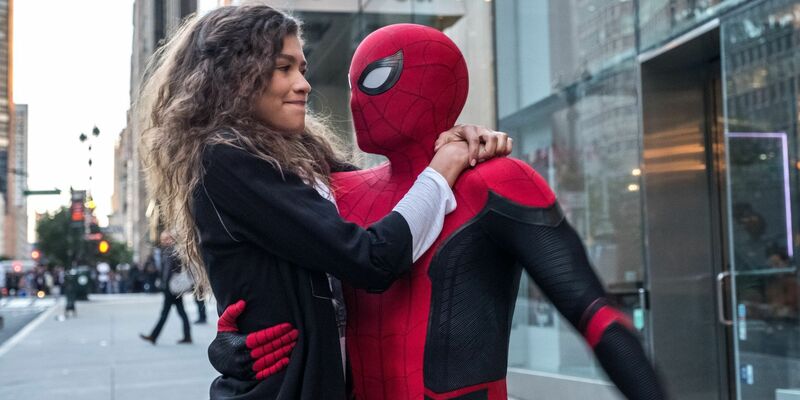 Far From Home aims to do the same, but also serves as the first brick in the wall for Phase 4 and a teaser of the MCU's future to come. Fortunately, it seems that director Jon Watts and his cast have rebottled much of the same heart and humor that they brought to Spider-Man: Homecoming in the sequel. Plot Summary: A young woman and her boyfriend attend a rare summer festival in Sweden that quickly takes a turn for the horrifying. The Breakdown: Ari Aster's feature debut, Hereditary, was one of the most talked-about horror films of 2018. Needless to say, cinephiles are curious to see what he's cooked up for his sophomore feature, Midsommar, especially given its Wicker Man-esque premise and backdrop. Much his like first movie used supernatural horror to examine generational trauma, it appears that Aster's new offering explores grief and the process of ending a relationship through a story that involves bizarre cults and related violence. Midsommar probably won't have much more luck crossing over to the mainstream than Hereditary did, but it certainly sounds intriguing. Plot Summary: Lion cub crown prince Simba prepares to become king of the Pride Lands, unaware that his uncle Scar is plotting to seize the throne for himself. 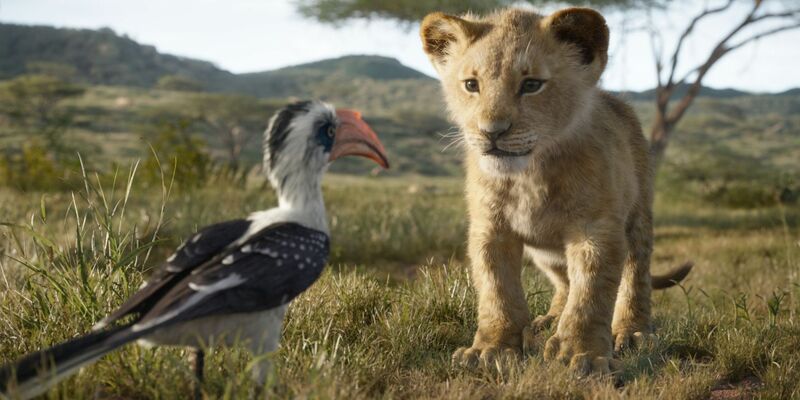 The Breakdown: The Lion King is one of Disney's most beloved titles of all time, so it's little wonder that moviegoers are anticipating the live-action remake with a mix of curiosity, excitement, and trepidation. On the one hand, The Lion King looks like a visual feast and has the makings of a fun "live-action" adventure, with The Jungle Book director Jon Favreau at the helm. On the other hand, the film isn't exactly promising anything new, and there are many who prefer the vibrant colors of the original 2D animated classic to the toned-down realism of the retelling. That being said: it's The Lion King, so of course (a lot of) people are going to watch it. Plot Summary: A former western TV show star and his trusted stunt double navigate the changing times in Los Angeles and Hollywood, circa 1969. 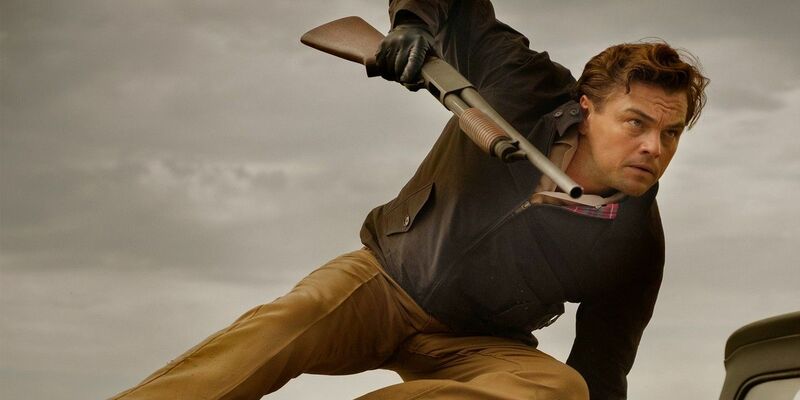 The Breakdown: Originally believed to be a film about the Manson murders, Quentin Tarantino's Once Upon a Time in Hollywood is really a character piece that takes place against the backdrop of the 1960s. The movie has also been described as a return to the style and format of the writer-director's breakout work on Pulp Fiction - something the marketing supports, with its emphasis on various players (both fictional and based on real people, like Sharon Tate) as they move in and out of one another's lives. All in all, this one should provide a welcome break from the summer blockbuster slate, and may even prove to be Tarantino's best project in years. Plot Summary: Luke Hobbs and Deckard Shaw are forced to team up and stop a cyber-genetically enhanced international terrorist from wreaking havoc. 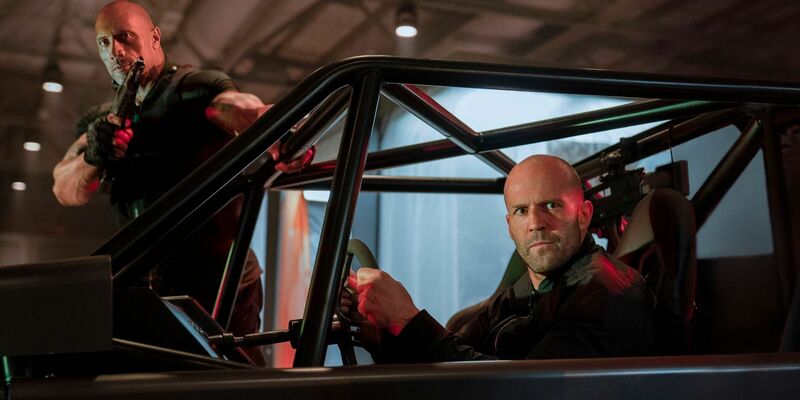 The Breakdown: Just when you thought the Fast & Furious movies couldn't get any more ridiculous than The Fate of the Furious... here comes Hobbs & Shaw. The first spinoff in the shockingly durable and evolvable property looks like an over the top cartoon adventure show brought to life in live-action, but in the very best way possible. Of course, it helps to have Dwayne Johnson and Jason Statham leading the way and bickering like the married couple that their characters should be, all while beating up bad guys and saving the world as though it's just another Tuesday. Throw in Idris Elba as "Black Superman" and you've got what sounds like perfect popcorn entertainment. 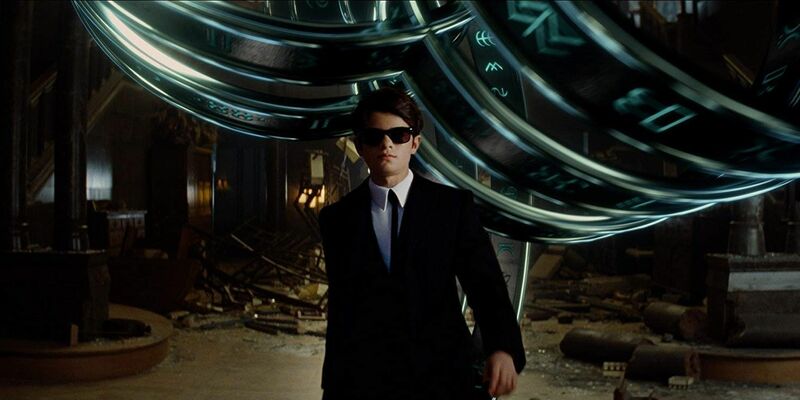 Plot Summary: Boy genius Artemis Fowl - a descendant of a long line of criminal masterminds - engages in a battle with a secret, powerful race of fairies who may be tied to his father's disappearance. The Breakdown: Disney's taking yet another stab at launching a new franchise based on popular source material, this time in the form of Artemis Fowl. They've recruited Sir Kenneth Branagh (who also helmed the studio's live-action Cinderella) to call the shots on the project, and so far the results seem promising enough. At the same time, the movie is arriving well after the original books' heyday during the 2000s, and the Mouse House's live-action moviemaking approach hasn't worked so well on non-remakes of late (see: A Wrinkle in Time, The Nutcracker and the Four Realms, etc.). Will Branagh and Disney finally crack the code together? Plot Summary: A group of teens in a small American town read a mysterious book full of scary stories, and thereafter find themselves being haunted by the stories' ghouls and monsters. The Breakdown: Guillermo del Toro and director André Øvredal (The Autopsy of Jane Doe) joined forces to adapt the famous Scary Stories to Tell in the Dark books for the big screen - and so far, the results look as freaky and creepy as you would expect, based on the creatives involved. While this summer isn't hurting for horror movies intended for adults, it nice to see that teenagers will have something sufficiently spooky to check out too. Fingers crossed, the Scary Stories adaptation will mange to walk the line between being scary fun and pure nightmare fuel the way the original story collections by Alvin Schwartz did. Long Shot (May 3) - A political rom-com starring Charlize Theron and Seth Rogen? This one's got pretty strong buzz at the moment, following its premiere at SXSW. Tolkien (May 10) - This J.R.R. Tolkien biopic looks visually impressive so far - but will it prove anywhere near as memorable as the stories that the author actually wrote? The Secret Life of Pets 2 (June 7) - Illumination's sequel seems a bit thin when it comes to plot, but promises to deliver more than its fair share of pet-related misdeeds. Child's Play (June 21) - Longtime fans remain wary of this remake's technophobic spin on the '80s slasher classic - but hey, Mark Hamill as Chucky sounds creepy so far. 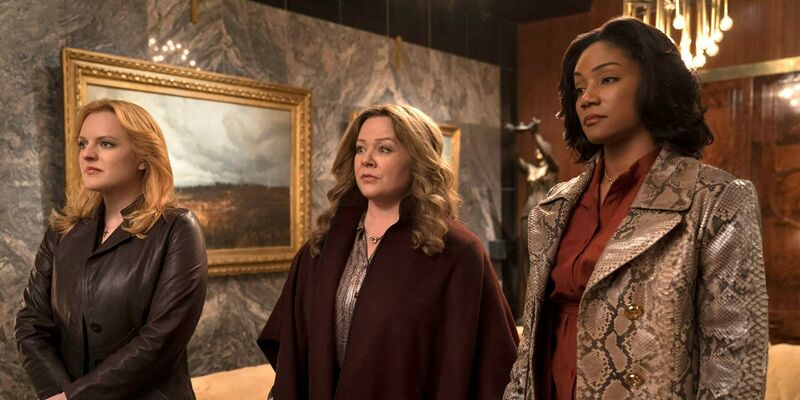 The Kitchen (August 9) - Melissa McCarthy, Tiffany Haddish, and Elizabeth Moss as mob wives-turned mob bosses? This comic book adaptation definitely has potential. 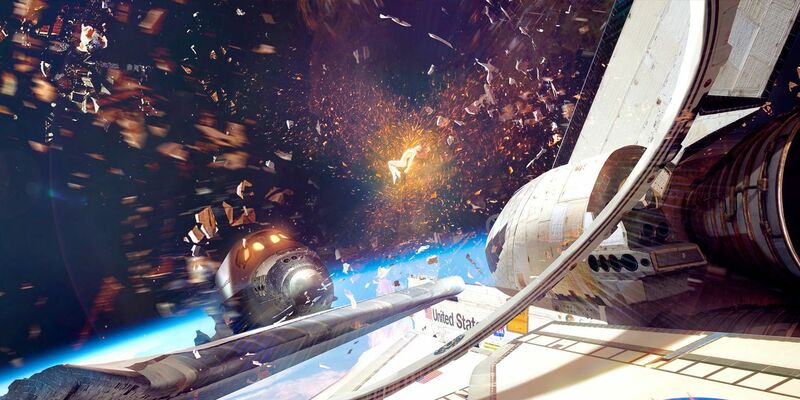 Ad Astra (May 24) and The New Mutants (August 2) - Yes, these two are still technically scheduled to arrive this summer, but we'll believe it when we see it. When the Star Wars: The Rise of Skywalker title was finally revealed, fans didn't hesitate to assume what it meant. For some, it was a confirmation that Luke would return as a Force Ghost. For others, it proved the longstanding theory that Rey is secretly a Skywalker descendant. But believe it or not, Rey may have already proven herself to be the first true Skywalker in the Star Wars story... the name just doesn't mean what fans think it does. Genetically, the mystery of the true meaning or origin behind the 'Skywalker' name can only go as far back as Anakin's mother on the planet Tatooine. Sticking with that exclusive bloodline theory, The Rise of Skywalker title can only refer to the salvation of Luke, Anakin, or maybe Kylo Ren. 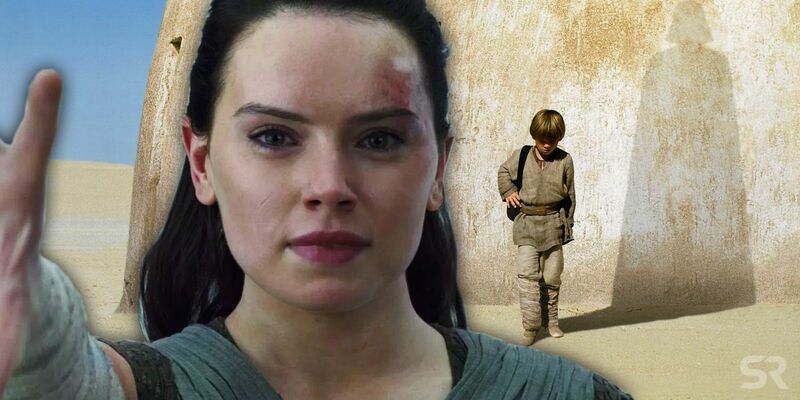 But the Star Wars universe has offered a new, deeper explanation that suggests Rey may be the sky-walker that neither Anakin nor Luke ever managed to become. And Star Wars 9 can finally make it canon. The family tree belonging to Anakin and Luke is, sadly, a short one to trace back to the roots. 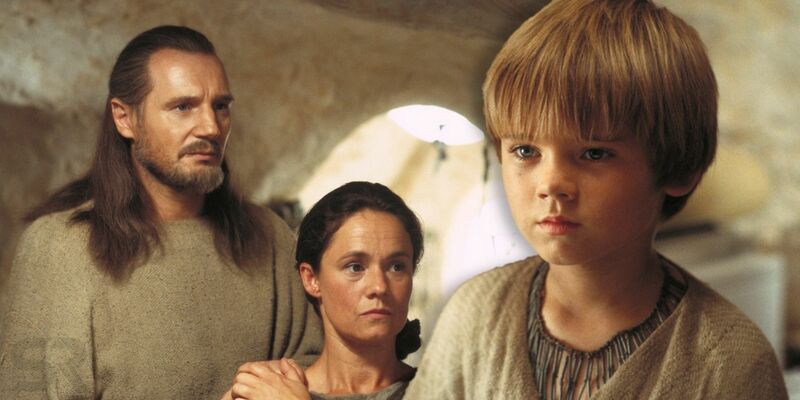 The birth and selection of Anakin as 'The Chosen one' makes up the plot of Star Wars: Episode 1. And while Mark Hamill may not consider Luke a virgin, his grandmother Shmi Skywalker maintained that Anakin had no father when she spontaneously conceived the baby. The Star Wars comics have offered some explicit explanation on that front, showing Emperor Palpatine creating baby Anakin inside of his mother's womb through the Dark Side of the Force. But believe us, the mystery of where her surname comes from is only scratching the surface of the new 'sky-walker' lore. To appreciate what makes Rey the first Skywalker to actually live up to the name--without any caveats, shortcomings, or outright failings--fans will be surprised to learn that the name has been given a potential origin from beyond the known galaxy of the main Star Wars story. Either that, or it's another case of a galaxy-wide, shared heritage never touched on (and it just being accepted that 'The Force' is the name everyone arrived at on their own). The explanation may not literally describe how Shmi Skywalker was given her name, but thematically, directly links her with Rey as women tossed aside into servitude, who did the unthinkable when the Force willed it. The Star Wars novels have offered plenty of changes to the existing fiction, but have also worked some beloved elements back into canon--the fearsome Admiral Thrawn chief among those demanded by fans. Surprisingly, it's Thrawn who helps to explain the origins of the name Skywalker. Or if not the origins then at least another meaning of the term found elsewhere in the galaxy far, far away. The 'Skywalker' explanation comes in the novel Thrawn: Alliances by author Timothy Zahn, in a story that covers the first time the blue-skinned military genius encountered Anakin Skywalker, instantly recognizing the name as one of great significance. But among his own people, not those of the Republic... and used as a title to signify much, much more than just a family. SPOILER warning! 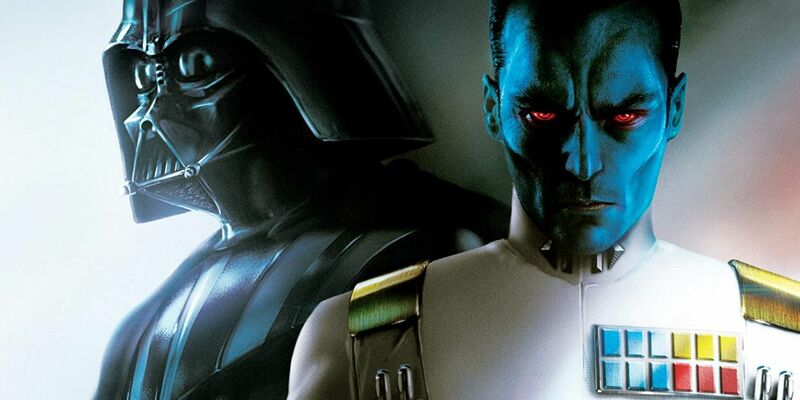 Now for those who don't know everything about Admiral Thrawn, we'll skip the details (and recommend watching Star Wars: Rebels to know why he's a fantastic villain). What's important for the understanding of the 'Skywalker' name is that in Alliances, Thrawn explains why his people--known as The Chiss Ascendancy--aren't known by the rest of the Republic. They reside within the expanse of space known as the Unknown Regions, so named because according to Thrawn "a chain of supernovas" has turned the area beyond the Outer Rim into an ever-changing minefield of debris and cosmic phenomena. Which is where The Force comes in handy. We do not have nav computers able to plot safe paths through the chaos of the Unknown Regions hyperspace... Nor do the Chiss produce appreciable numbers of Force-sensitives, though we call their gift Third Sight. But when such rare individuals are born, they come to us with but one ability, that of precognition... Only children have enough precognitive power to safely guide our ships at the speeds the Aristocras demand. As to their gender... Those with the gift are nearly always female. There are exceptions, but that is the general rule. No one knows why. There was a flicker in Thrawn’s sense. Vader looked up, to see a small smile on his face. “I was simply recalling a memory. I told you the Chiss call this talent Third Sight. What I hadn’t yet spoken of is the title these navigators are given once they take their posts... The Cheunh word is ozyly-esehembo. In Basic, it translates to ‘sky-walker.’ You can imagine my momentary confusion when I first encountered General Anakin Skywalker. The novel plays with the impression that Thrawn recognizes Anakin Skywalker and Darth Vader are the same man, separated by years. Hence his observation of the 'sky-walker' name given to Anakin finally being fulfilled under his own guidance. And it is a powerful image he conjures, of the noble and vital role played by The Sky-Walkers: to accept an immense burden as a child, subject oneself to training in the Force, so that you may lead an entire people safely behind you. For only the sky-walkers can see both present and future, and react to shape the reality of dozens, hundreds, thousands of others as they wish. 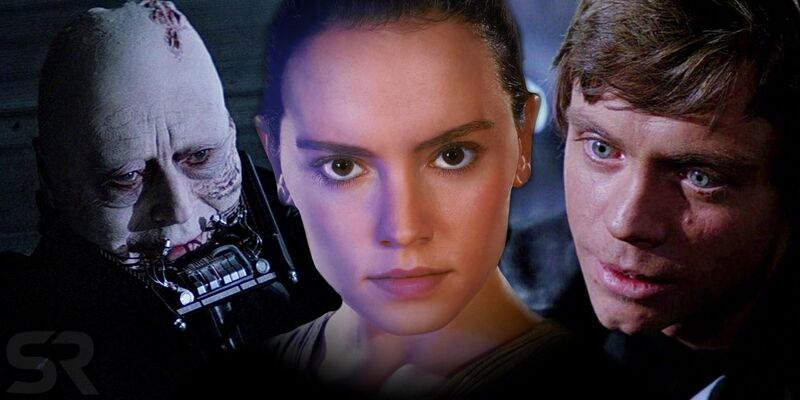 It is a sacrifice made willingly in almost all cases, and the parallels between Anakin, Luke, and Rey are so clear... they could only bear the name Skywalker. 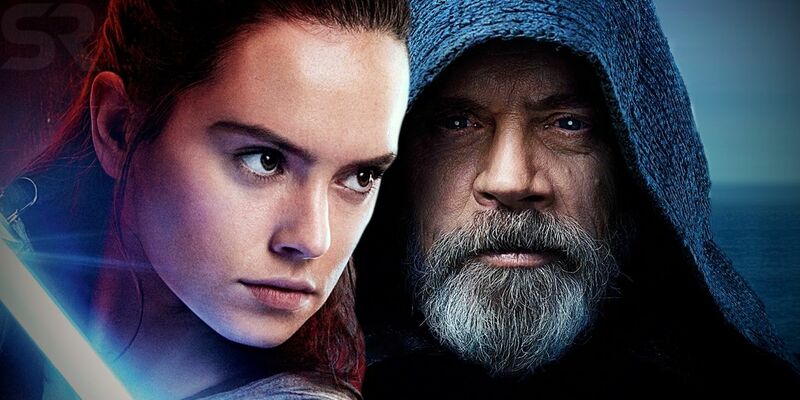 But where Anakin and Luke failed in their mission to lead an entire galaxy towards a safer tomorrow, the early looks at Star Wars: The Rise of Skywalker appears to make Rey the one who will get the job done for good. In the new understanding of the term, that alone makes her the truest hero to ever bear the title of Sky-walker... whether she carries the name or not.